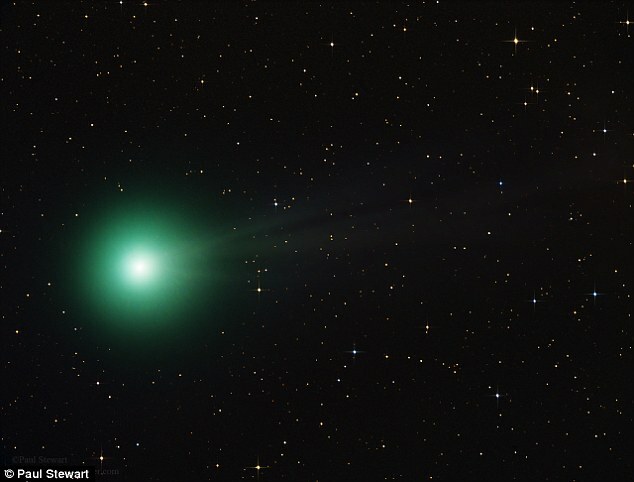 An unusual green comet reaches maximum brightness on Saturday, providing a sweet treat for early-morning risers. Comet 45P/Honda-Mrkos-Pajdusakova (named after three astronomers who discovered it in 1948) travels into the inner solar system every 5.25 years. 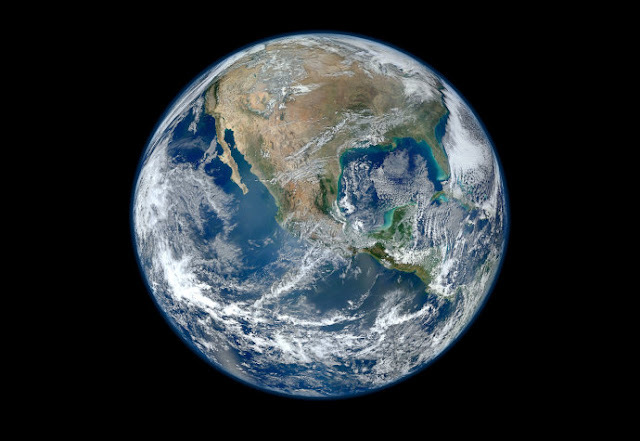 On Saturday, 45P will pass just 7.4 million miles from Earth, a stone's throw by celestial yardsticks. With binoculars or a small telescope, comet-watchers should be able to spot 45P in the pre-dawn skies between Thursday and Sunday. "The comet will be racing through the constellation Hercules high in the eastern sky," notes SpaceWeather.com. Comet 45P will look like fuzzy bluish-green ball with a fan-shaped tail. Its distinctive color comes from vaporizing diatomic carbon, a gas which glows green in the near-vacuum of space. The Minor Planet Center reports 45P's upcoming pass as the eighth closest comet since modern tracking technologies began around 1950. It made an even closer approach during its last visit in 2011, pictured above, but it won't be as near to Earth again this century. "Proximity makes the comet bright despite its small size, forecasters say 45P could be on the verge of naked eye visibility… when it emerges into the pre-dawn sky later this week." said SpaceWeather.com.